UAAA Annual Team Competition Sat. 19th May. 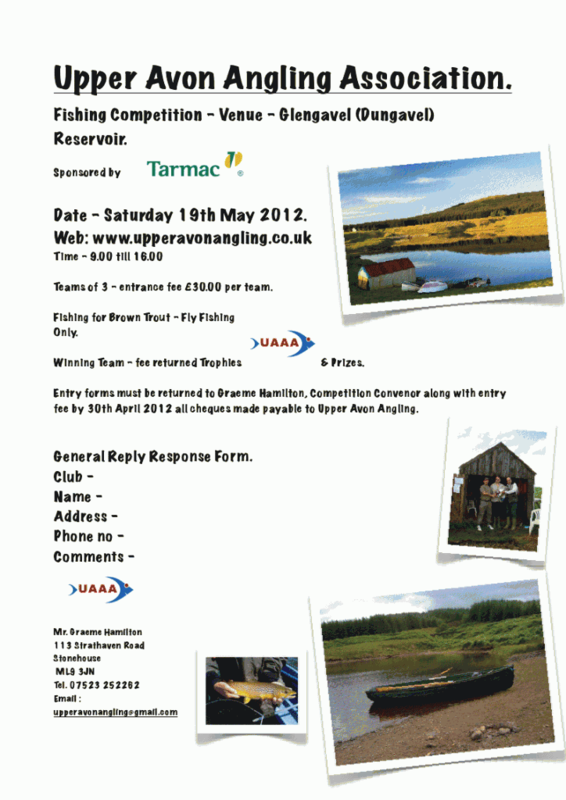 We are keen to announce that we will again be running an open team competiton on Saturday 19th of May 2012. This year once again we hope that the weather gods will for once shine on us & we don’t have to fish in either “Hurricane Dungavel” or a “flat glassy calm & bright sunshine” – what are the odds? Look forward to a good turn out. Please see details below on poster. 2 Responses to UAAA Annual Team Competition Sat. 19th May. HI boathouse clearedout boats in water when entering dam close gate at all times do not park beyond notice board display card on window for parking.